We want to save and restore a piece of our heritage. The Pier on the Prom is under threat of demolition; it can and should be used for the benefit of the community, together we can make it happen. 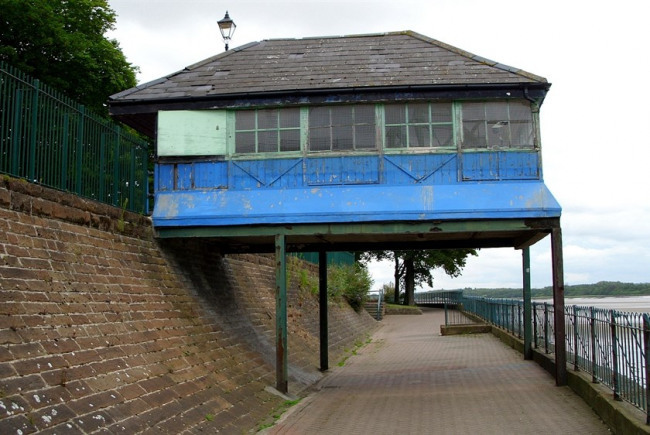 Since C1906, the Pier on the Prom has stood proudly on the banks of the River Mersey. An Edwardian Folly, thought to be the last of its kind, it has served generations of Halton residents as a place to gather, play and relax, to escape the struggles of industrial life. Historically the promenade had been the centre of community events, with the Pier acting as a viewing platform. With the decline of riverside events the Pier remained a place for the elderly to gather, fighting loneliness and isolation. Over the years it has fallen into disrepair but still represents community sprit, it is now earmarked for demolition. The Pier on the Prom Group want to restore the Pier to its former glory. We wish to reinstate the heart of the community by providing a much needed heritage centre and community meeting place. Not only will the Pier preserve, promote and share the proud history of Halton, it will once again represent, a symbol of 'coming together', combating isolation and exclusion. Like the relationship between parent and child, heritage is the foundation of what makes us; it needs to be explored and shared. If it's hidden, it may be lost forever. Halton has a long and proud history which is grounded in more than just the chemical industry. The birth place of Lewis Carroll, 3 VC holders, the designer of the Lancaster Bomber and a Nobel Prize winner. It was home to many sporting heroes, entertainers and politicians. We take for granted the river crossings, but how much do we really know about them; who was Ethelfleda, whom the railway bridge is named after? The famous Transporter bridge has been consigned to history and the fading memories of an older generation. The Pier on the Prom will breathe new life into the heritage of the area. It will allow local community groups to carry out their work, especially with those who feel they have no opportunity to participate. The Pier on the Prom will once again provide hope to those who feel forgotten or isolated. 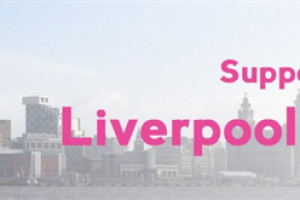 Through the Merseylink Timebank initiative we have already been provided with a structural survey of the Pier. This survey indicates that it is structural sound, however is in need of extensive renovation and remedial work, to prevent further deterioration of the building. The survey has estimated remedial work will cost in the region of £25,000, with a further £10,000 for renovations and £5,000 for equipment, insurances etc. The Pier has stood for over a 100 years, longer than any living resident of Halton. It has withstood the ravages of age, the elements and war, it would be tragic to see its life ended by a bulldozer. With imagination, determination and more importantly your help, it can stand for another 100 years, becoming famous not just for what it is but also what it represents, the heart of a community. This is not just an investment in a structure; it is an investment in a community, its children and their children. It is a vision of hope for an isolated community. The Pier on the Prom is a constituted community group who's mission is to improve the quality of life of the general public, with particular emphasis on the residents of Halton, Cheshire. To challanged and combat social exclusion, whenever it is identified.